Off normal exercise topic and this topic is what can lead to much inactivity in a week...you have been warned! Totally enjoying Sleepy Hallow too! My goal is to exercise first in the day then rest and relax watching my favorite shows. So excited for all the new season! QOTD: Has your favorite show returned this season? 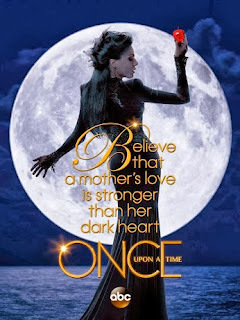 Picture borrowed from Once Upon A Time Facebook Page. Visit hyperlink on picture to visit the ABC Website for the show.